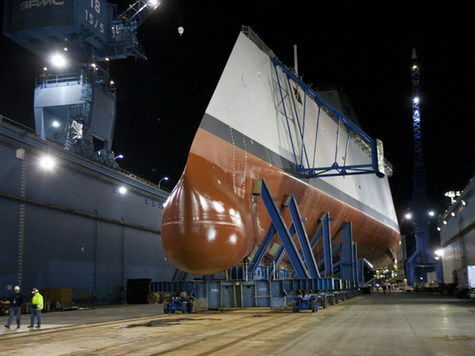 In 2013, the United States was launched in one of two destroyers built future. 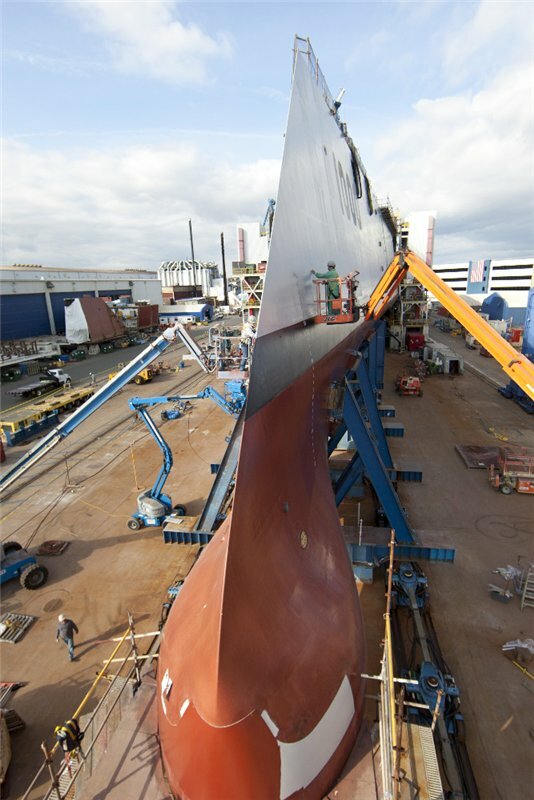 Commissioning is expected in 2014. 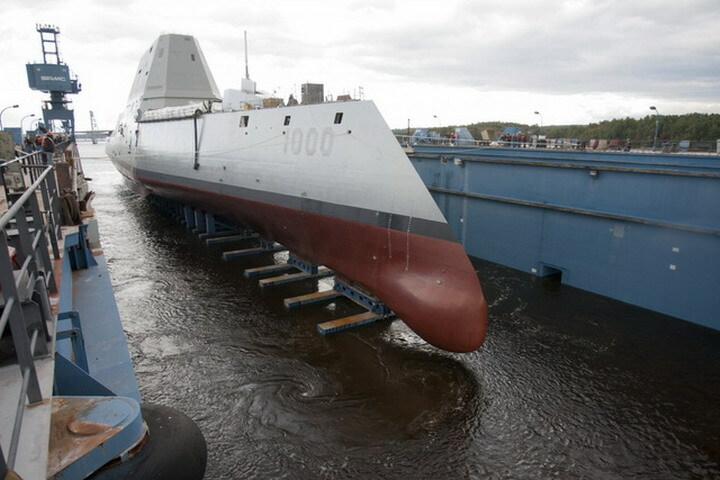 American shipyard Bath Iron Works, owned by General Dynamics, the night of the 28th on October 29, 2013 launched the first U.S. " destroyer of the future" , which is planned to name " Zumvalt ." As reported by The Washington Post, the ship was launched from the dock into the river Kennebec and moored at the quay wall , where it will be completion . It should be noted that the descent of the ship on the water was made without a formal ceremony. 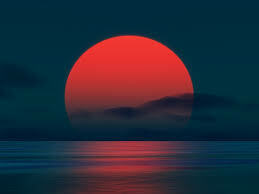 Probably descent ship on the water without ceremony was performed because the U.S. government has not yet spent even his baptism ceremony . 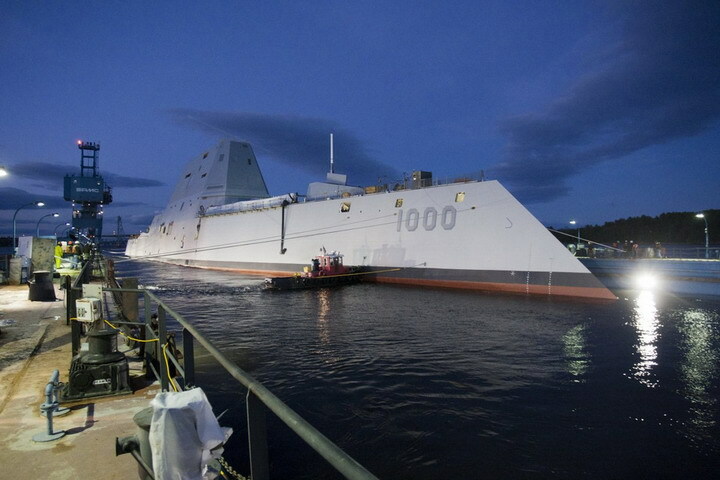 Originally the name of the destroyer was to be awarded October 19, 2013 , but this did not happen due to stop work of the U.S. government , on October 1, 2013. Baptism ceremony scheduled for later, but its exact date has not yet been named . 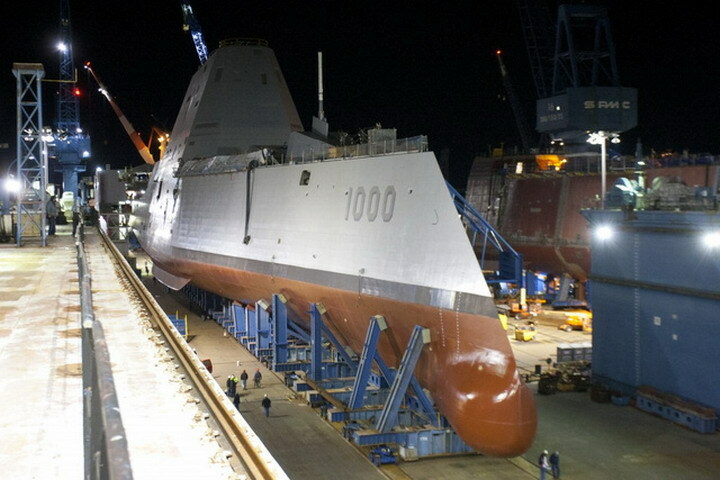 The new destroyer , which will also be assigned to the board room DDG- 1000 , built in 2010 , and his laying took place in November 2011 . 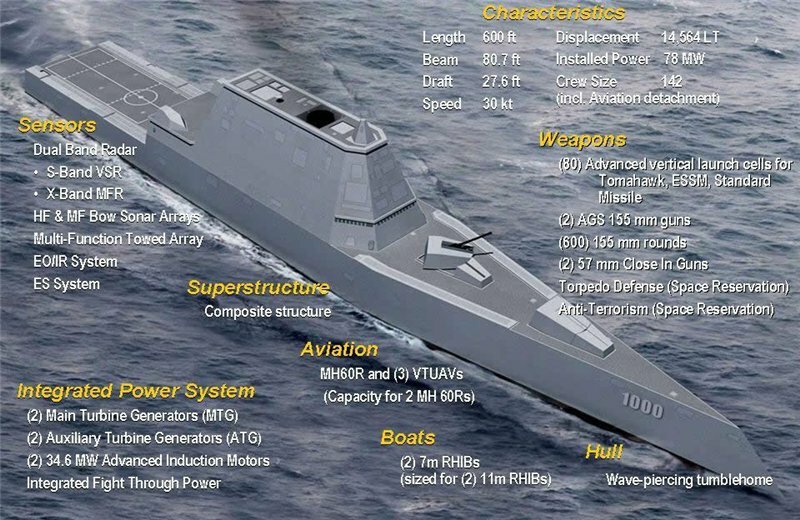 Ship being built with extensive use of stealth technologies , will be named in honor of Admiral Elmo Russell Zumvalta Jr. , who led the naval operations of the U.S. Navy from 1970 to 1974. Transfer destroyer military planned for 2014 . " Zumvalt " will be the largest ship class " destroyer " as part of the U.S. Navy . Currently, in the interests of the U.S. Navy is building two more destroyers like " Zumvalt »: DDG- 1001 "Michael Monsour " and DDG- 1002 " Lyndon Johnson ." Their transfer to the Navy is scheduled for 2016 minutes and 2018 respectively. "This is the largest ship that has ever been created in the shipyard Bath Iron Works, and the largest in the U.S. Navy destroyer. His descent was unprecedented in its scale and complexity, "said Captain Jim Downey, who oversees a program to create class ships Zumwalt. "But thanks to careful planning and execution, everything went very smoothly." 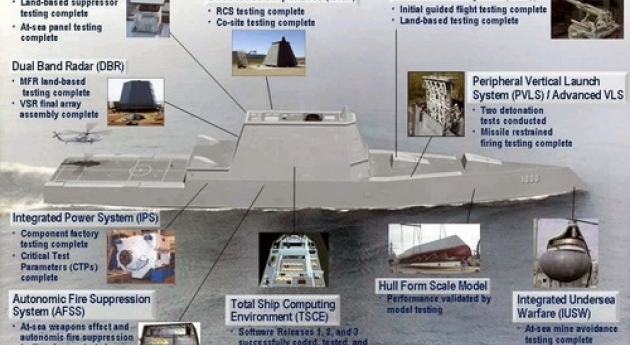 And considering that the USS Zumwalt can generate up to 78 megawatts of energy, there is a great chance that he will be the basis for testing a top-secret program to build Navy railgun prototype system capable of launching projectiles at a rate seven times the speed of sound. « Free Domain Name services.Free second-level domain.